The Wolf Mask Yellow depicts a fictional species of wolf. This imaginary wolf is the go between and the glue that holds the various species of wolves in North America together. It might be considered to be the sprit guide of the grey, red and black wolves. In that it’s color implies light, royalty and spiritual strength. 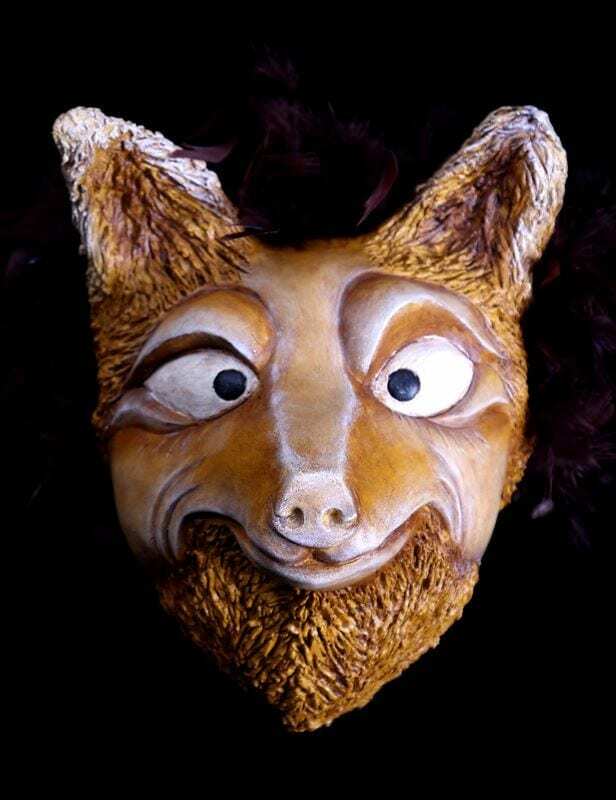 The Yellow Wolf Animal Mask is a full-face character mask that can also be made as a half mask. Please ask when ordering if you would like it cut down. All three of the wolf masks in this type are out of the same mold. The three wolf animal masks are the small pack of wolves offered by the studio. These social animals have one of the most sophisticated community structures of an group of animals. From their family dynamics to their hunting techniques wolves fall into a class of their own.